Last night and early this am I reviewed the belay tutorial on YouTube video to refresh what I had been taught so when I went in today I would pass the belay certification with no problem. Up and out of the house early I went to Mesa Rim Indoor Rock Climbing. When I arrived I met the instructor I had yesterday for my class behind the desk. She issued me a harness and belay device to use for the testing. 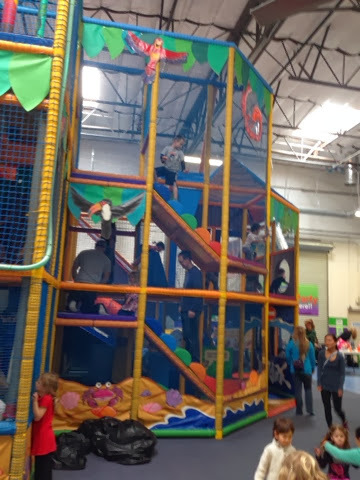 I went to the climbing wall and did a couple of practice run throughs with the rope and then I was ready to test. A few minutes later I had pased and got my certification card. 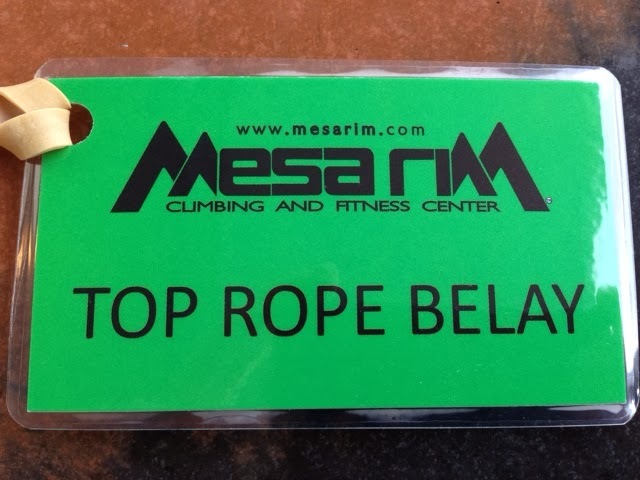 They require anyone belaying to have this card on their harness so they can work to ensure that everyone is trained that is belaying. They asked if I was staying today to climb and like yesterday the question confused me as how do I climb without someone else trained to belay. Not having anyone to work with here I was out to the car. As I got in the car my phone rang and it was the girls. They had gone to the YMCA early this am and they couldn't find a parking spot. So, they ended up at our prearranged raundevoux spot the Donut Shop near where they were. It appeared the rain put everyone inside today although the rain was neither as hard or persistent as yesterday. 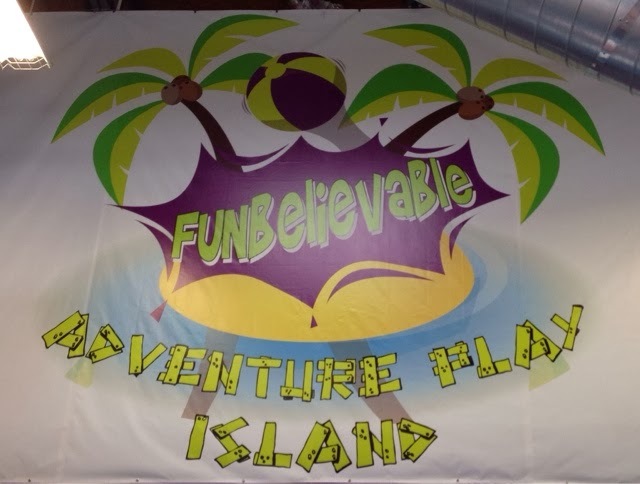 It took me at least 10 minutes to get to the donut shop and after a celebratory donut we decided to go to the Funbelievable indoor playground for the girls to work off some of their energy. We wern't the only ones with this idea but we were still early enough to get ahead of most the crowd that eventually showed up. 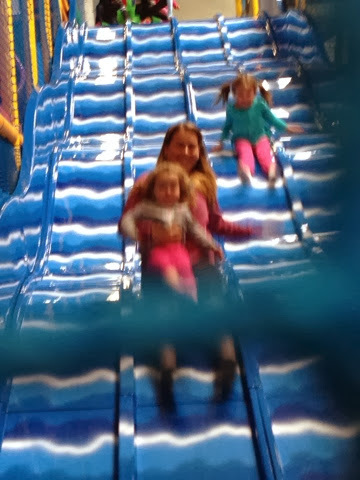 Fun for all ages as the girls come down the slide. 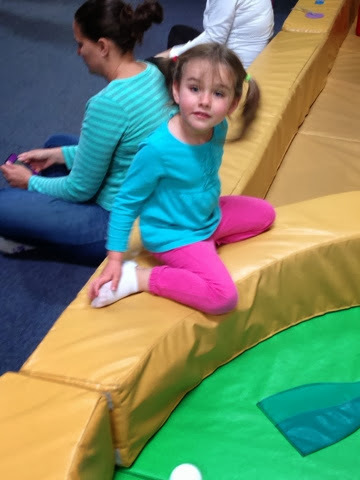 Taylor who is usually shy at her current age of 2-1/2 was constantly on the move checking out everything. Madison took over watching and helping her sister while we were there. After we came home in early afternoon it was time to do some packing of the camper and put things away. 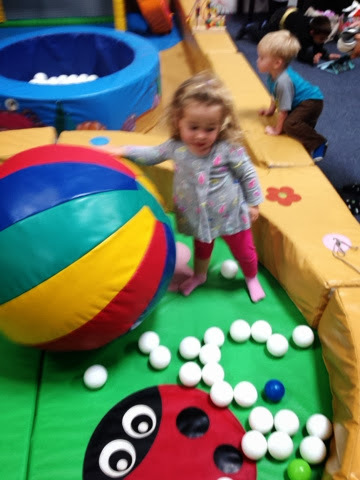 I got some help from Madison. Then it was time to get all I could get done on our income taxes. Being gone for the tax season it was my goal to get as much of the taxes done while I was here. I just need a few things from Denise to finish up and then I can file online from the road. I started the taxes when I left in January and have worked on them a few times until arriving here where I have put in a number of hours. I was asked to teach an independent study course online at Mount Wachusett Community College before I left. The course is Fire Investigation and I taught it last year at the same time. I log in on the road and do the coursework as needed online. The course is programmed into a software package called blackboard that the college uses. Today I programmed out the remainder of the course that also took a couple hours. In two weeks niece Brianna will fly out to Phoenix for spring break where I will pick her up and take her on a tour of Las Vegas and the Grand Canyon as the major stops.today I completed the reservations for the remainder of our stops. I leave La Jolla tomorrow to travel the CA coast towards San Francisco.